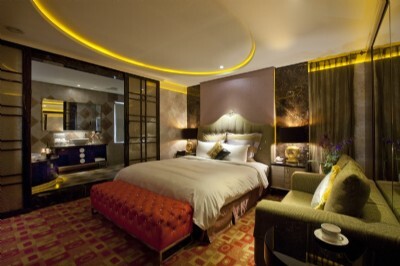 Located in the vivid Nanjing East Rd. 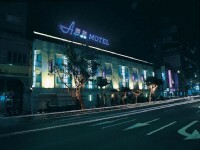 commercial districts in Taipei, The Alper Motel is only an eight-minute drive away from the Taipei World Trade Center (TWTC) and an hour drive away from the Taiwan Taoyuan International Airport. 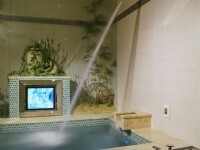 The motel offers comfortable accommodations in European style and equipped with high-class amenities such as SPA facilities, massage tubs, marble decors, modern audio equipments, sauna room, etc. 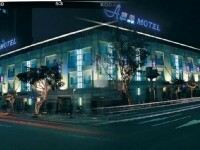 In respects to guests’ privacy, the motel offers complementary indoor exclusive car park, so guests do not have to worry about parking problems in the prosperous Taipei City. Services such as laundry, luggage storage, and notebook rental are also available. 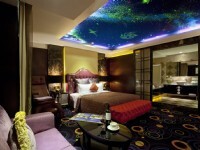 With the intimate and exclusive services, Alper Motel will ensure you a memorable Taipei travel. 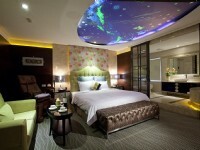 TWD 800 for additional guest with extra bed. Charge to be paid upon check-in. Breakfast included. Toiletries & Beddings included. 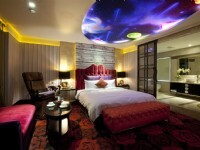 1 Queen Bed ; Two Breakfasts Included; Airport transportation available upon request. Charges may apply. ; Sauna; complimentary ADSL internet access ; free parking ; taxes and service charges included ; rollaway bed available upon request， charge may apply; extra guests allowed with extra chrage; weekdays/weekend as defined by hotel; No pets are allowed. ; We apologize for the inconvenience to you. 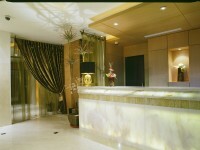 ●Check In after 12:00pm ; Check Out before 12:00 noon.